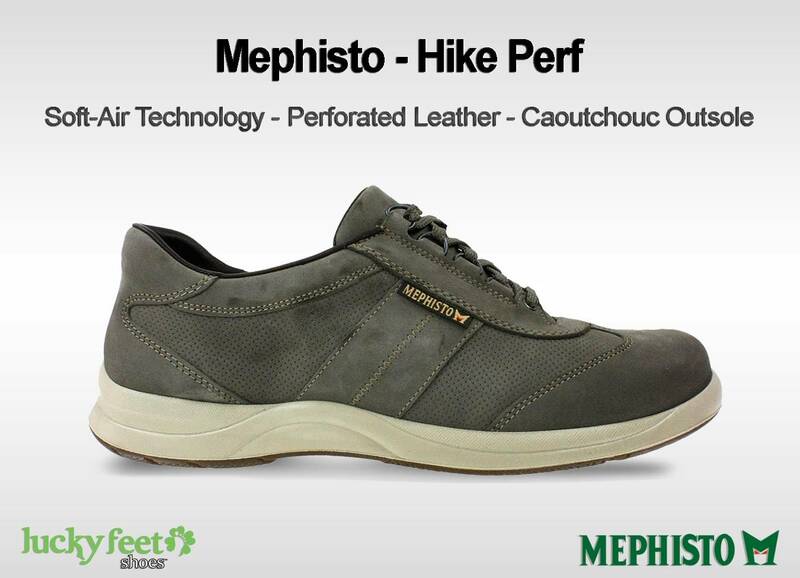 Whether you are up for a stroll in the park, or a walk through the city; Mephisto’s Hike Perf can keep you comfortable with any walk. The Hike combines a soft suede look with the comfort and support you expect from a sneaker. 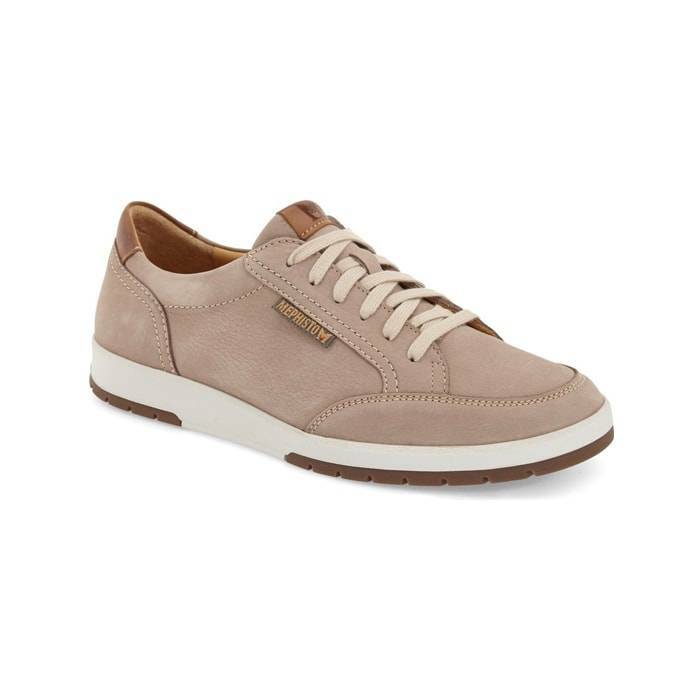 This casual sneaker is wonderfully designed with perforated leather for breathability, a cushioned latex footbed for incredible comfort, a caoutchouc outsole for durability, and Soft-Air Technology for shock absorption. 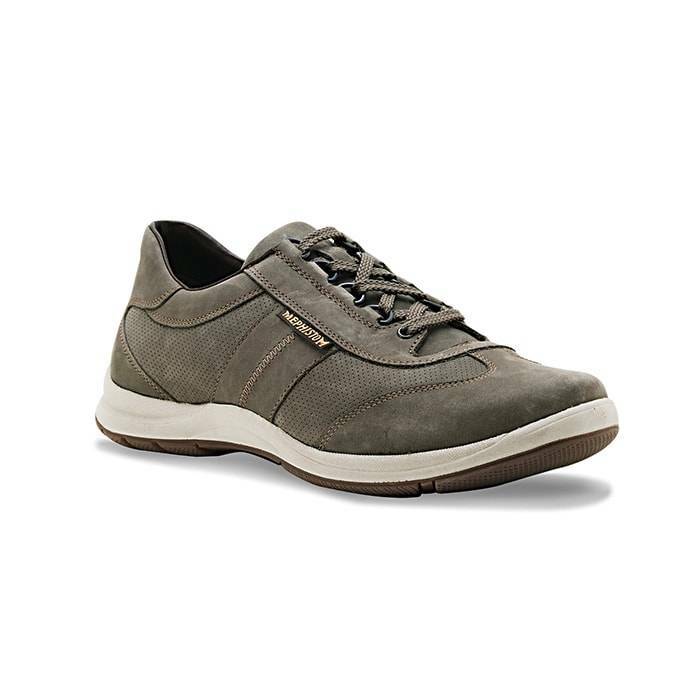 When it comes to combining comfort and durability, the Mephisto Hike Perf may just be the perfect men’s casual shoe for you. 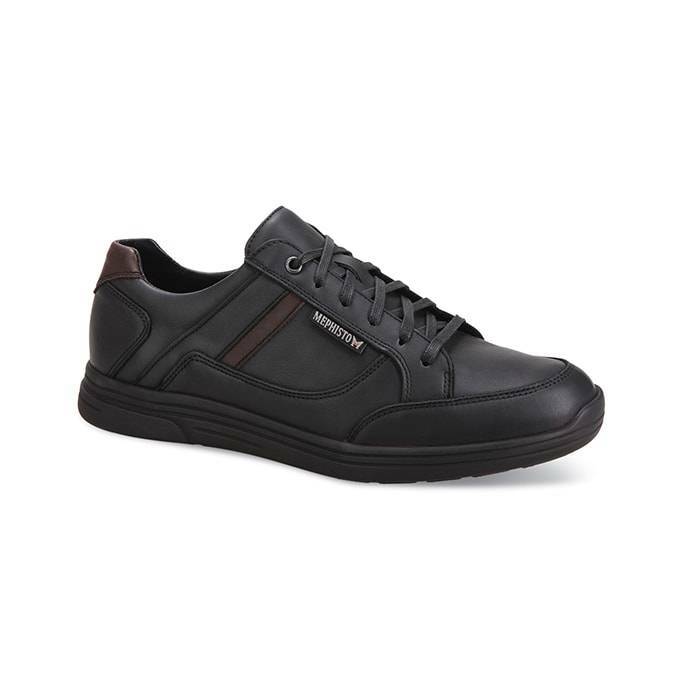 Mephisto’s shoes are known for their great quality and Soft-Air technology. Their unique technology minimizes shock from walking, offering protection to your feet, relief for your joints, and proper care of your back. In addition, it helps provide light air cushioning with every step, relieving impact on the knees, hips and lower back, for effortless walking. Why battle perspiring feet when you can wear a breathable perforated shoe to help maintain your feet fresh and cooled? We can help you! 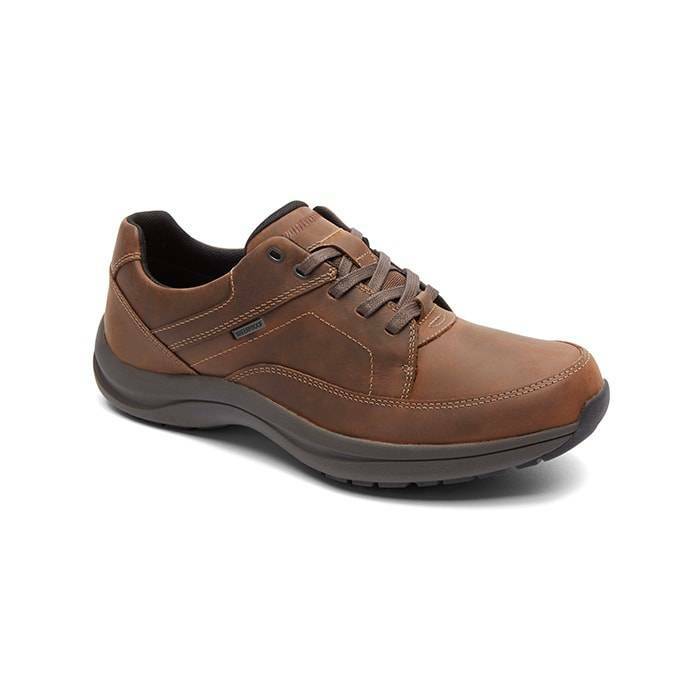 This men’s shoe has an incredibly soft leather lining that wicks away moisture, leaving your foot cool and dry. Since comfort and support are ideal, let’s take a look at Hikes cushioned latex footbed. Its latex footbed is made of natural and breathable materials that are shock absorbing to cushion your feet. Plus, it massages your foot with each and every step you take. However, if you require greater support, Hike’s insole is removable to accommodate most custom and over-the-counter orthotics. Caoutchouc is a lightweight natural rubber used for its durability and flexibility. This unique outsole features 4-point shock absorber system to protect your feet from damaging jolts and vibrations. In addition, this natural rubber outsole maintains grip and is slip-resistant to help keep you safe on your feet. 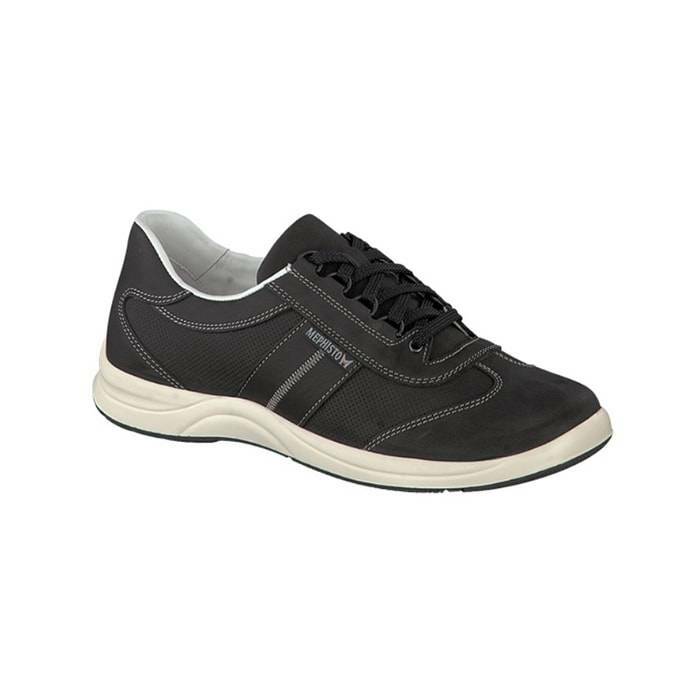 As you can see, Mephisto Hike Perf is both a casual and walking shoe with a sporty look. You can walk all day in comfort without experiencing agonizing pain. With Mephisto Hike, tired feet are a thing of the past. Click here to find your size in the Hike. Come into any one of our stores located in Anaheim Hills, Rancho Cucamonga, Riverside, San Dimas, Temecula, La Quinta and Palm Desert! Visit us today and try on a pair of Mephisto Shoes! At Lucky Feet Shoes, we carry many Mephisto shoes: sandals, sneakers and casual shoes; in any of our Southern California stores. If you are looking for Mephisto Shoes in Orange County, the Inland Empire, Los Angeles County, Temecula or Riverside; we have seven stores to serve you! Come and visit us today! If you are looking for Mephisto Shoes in Anaheim, Anaheim Hills, Yorba Linda, Brea, Orange, Placentia, Costa Mesa, Santa Ana, Fullerton, Irvine, Villa Park or Tustin; then visit our store in Anaheim Hills for your footwear needs. If you are looking for Mephisto Shoes in San Dimas, Glendora, Pomona, Covina, West Covina, La Verne, Azusa, Diamond Bar or Claremont; then visit our store in San Dimas for your footwear needs. If you are looking for Mephisto Shoes in Rancho Cucamonga, Ontario, Upland, Fontana, Rialto, Chino, Chino Hills, Mira Loma, Eastvale, Colton or San Bernardino; then visit our store in Rancho Cucamonga for your footwear needs. If you are looking for Mephisto Shoes in Riverside, Moreno Valley, Corona, Rubidoux, Loma Linda, Grand Terrace, Redlands or Norco; then visit our store in Riverside for your footwear needs. If you are looking for Mephisto Shoes in the Temecula Valley, Murrieta, Fallbrook, Lake Elsinore, Wildomar, Hemet, San Jacinto, Pala, Sun City, Menifee, Canyon Lake, Perris, Bonsall or Anza; then visit our store in Temecula for your footwear needs. If you are looking for Mephisto Shoes in Indio, Coachella, Thermal, Vista Santa Rosa, Valerie; then visit our store in La Quinta for your footwear needs. If you are looking for Mephisto Shoes in Cathedral City, Thousand Palms, Palm Desert, Palm Springs, Desert Springs, Rancho Mirage or Bermuda Dunes; then visit our store in Palm Desert for your footwear needs.